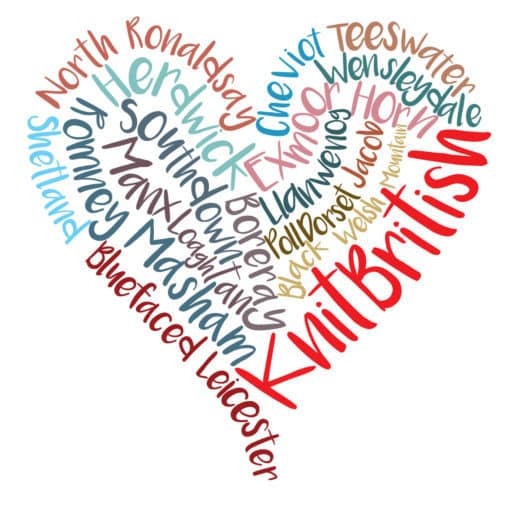 Welcome to a KnitBritish Yarn and Pattern Club! The best news is that you already own all the things you need. No deposit, no P&P or delivery charges. It’s all over in your stash and your ravelry library. You may have heard me talk about this on the last episode of the podcast and I promised to also post on the topic too. 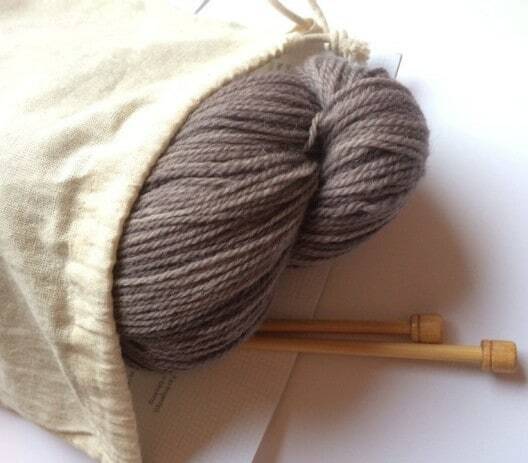 We all love to see new yarn and pattern clubs, and we get the itchy, grabby, knitty hands for them. There are so many delectable designs and accompanying yarns of shades and hues and delicious textures. The Good Intentions Club is NOT a means of telling you to boycott them. They are incredible and created by very talented people. So What Is The Good Intentions Club About? and those yarns and patterns are still waiting to me made, aren’t they??! We were so full of good intentions when we purchased the yarn and the pattern and NOW it’s time to make good on those well thought out plans. Go to your Ravelry library and queue – or your paper and ink patterns – and seek out the patterns you know you have the yarn for in your stash. Pick FOUR of these patterns. Retrieve the yarn from stash. I know this may take some time! Bundle your patterns up with your yarn in a nice project bag. STITCH THOSE GOOD INTENTIONS INTO REALITY! You can be purposeful and choose a project for each quarter, or you can be more random and grab a project bag from your box, taking the luck of the draw. You can flip a coin! It doesn’t matter. Don’t worry if you also can’t choose 4 straight away, as long as you pick 2, I will prompt you in the new year to pick your other 2. 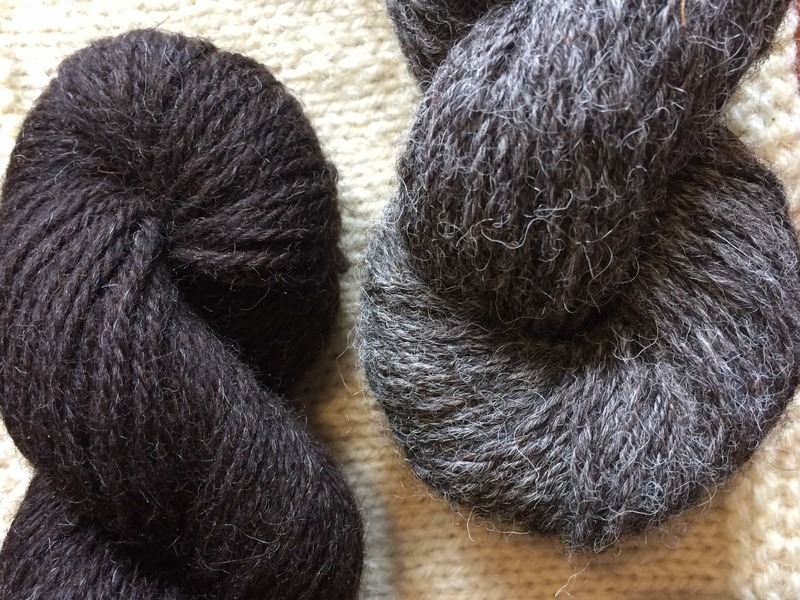 I’ve decided on Half Hansel, by Gudrun Johnston, in wonderful Heritage Naturals from the woolbrokers (purchased at SWW2016! ); Mahy by Karie Westermann, in BFL Lace from Blacker and Aiken by Andi Satterlund , in the West Country Tweed, which I intended it to be knit in. I’m excited at the prospect of having these achieve their reality, so to speak. There is already good chatter and good intentions in the KB ravelry group, in the thread for the last episode. So even if you haven’t listened, but you want to take part, that’s the place to tell us of your club choices. I will open a thread for each new quarter as it comes, for progress and chatter. 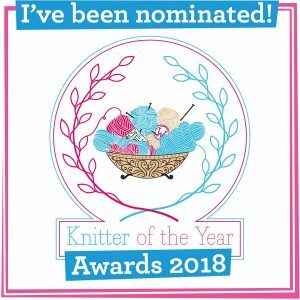 This isn’t a Knitalong in the traditional sense (but I may spring a spot prize each quarter!). There is no end date as such – I don’t really care if you can’t finish it in time for the next one, there is no pressure here. The idea is just to make a start of those ideas we once had. More on the next podcast episode, next week. But if any of this sounds like a good portion of your stashing habits, then get into that library and start picking! First quarter starts on 1st October! Like the Aiken pattern, and that colour . . . Why does everyone seem to want to knit what is effectively aran-weight jumpers though, even with lacy inserts? 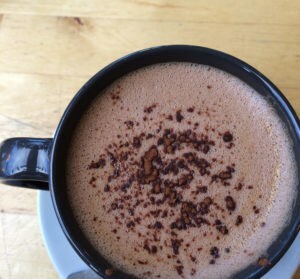 I know I’d find them too warm. And much as I love the shawl patterns – what do you do with the finished shawls? I see the attraction of knitting them. I have one, beaded, which is lovely but when to wear it? Particularly as I don’t often find it cold enough here, south coast UK, to want to wear swathes of woollen around my neck. Maybe “everyone” are individuals with their own likes and dislikes and their own tastes in yarn weights. One size or preference does not fit all. I wear shawls almost daily. I wear them in all kinds of ways, shapes and forms. Maybe I’m just too ‘practical’, or is that too old for things like shawls? Or maybe I’m not, yet, old enough. Never meant one size did or should fit everyone, just wondered. I find shawls incredibly useful! I do however live in windy Edinburgh. There are plenty of places where a wee extra bit of warmth is needed or in the autumn the extra layer means I can go out in a cardi by leave a coat behind. Most shawls will straddle the shawl / scarf divide so can also be wound to make sure neck is warm too. Having said that I feel the same way about knitted socks I don’t wear sock as I am a dress / skirt woman/ Though perhaps I should knit some tights??? Socks over tights with ankle boots look super cute with skirts. At least I think so! OH I AM SO IN!!! i may even do a vlog on it! I have so many things i have bought to do x and never done them. I am in the midst of rearranging my stash. And boy do I need a lot of things rearranged. I have made several Haps from the hansel pattern. Love them and they make great baby wraps. I am almost finished with my Mahy, It just needs the edging and I have to choose a yarn for it as I lost at yarn chicken!! I am a perfect candidate for this KAL I have bought a lot of yarn for projects and much of it is still in bags. I love my stash but it is overwhelming at times. I love this concept! I have so many sweaters’ worth of yarn, purchased to make a specific garment. It would be wonderful to bring all these projects to fruition! Sounds perfect for me. I do have a gazillion wipes but I also have loads of yarn/pattern combos that have yet to become reality. I’m in. I love this idea and I really hope to use this momentum to carry me through some projects that have been waiting around a really long time. If the road to hell is indeed paved with good intentions, it’s going to be gorgeous and very soft! I have started. One handspun gotland mitten finished yesterday. Will work on the other this evening. One Galop in laceweight yarn. One Rowan Bertha, all for me. mum is getting a variation of Malus domestica in handspun; I washed the last of it yesterday. I finished my green light shawl which is blocking this morning and am darning ends in from my mitred square blanket, ready to block after the shawl. Making a pom-pom garland for my friend but that is definitely no 5 priority. Also done a bit of skein winding once I cleaned the fluff from my winder. Very satisfying progress. WOW! you sound like you are making all your quarter clubs at once! Remember we are aiming to choose a project from our 4 in October, in January, in April and July – the idea being we’ve plenty of time to work on each good intention. you might have to pick more to keep you going til July, ahah! I LOVE this idea! I”m trying to get some of my knitting buddies to join in the fun. I started going over the options from my stash. The first project is easy because I had already selected stashed yarn to use for Helen Stewart’s Wishmaker Shawl. I hope I can have a project count for two clubs. I just found this post stumbling through the Internet AND it’s October 1st so it seems like destiny. Glad for a chance to dive into the stash and see some results! What a great idea! It seems like I missed the bus for the beginning of this, but might just have to do it on my own, or jump in midway through, as I’m putting myself on a bit of a spending hiatus and want to work through some of my lovely (and certainly plentiful enough) stash. Thank you so much for this great idea. My local knitting Guild is geeking the idea and using it for our KAL this year. We reduced the idea to two projects. One project you’ve started but not finished… a Second you already own the yarn and pattern. There is great enthusiasm, Personally I think I overcommitted to finish a sweater for my son and another sweater for myself.